The cycling Time Trial event take place on Wednesday 8th August and travels along the A803 Kirkintilloch Road to the west of HM Prison Low Moss. 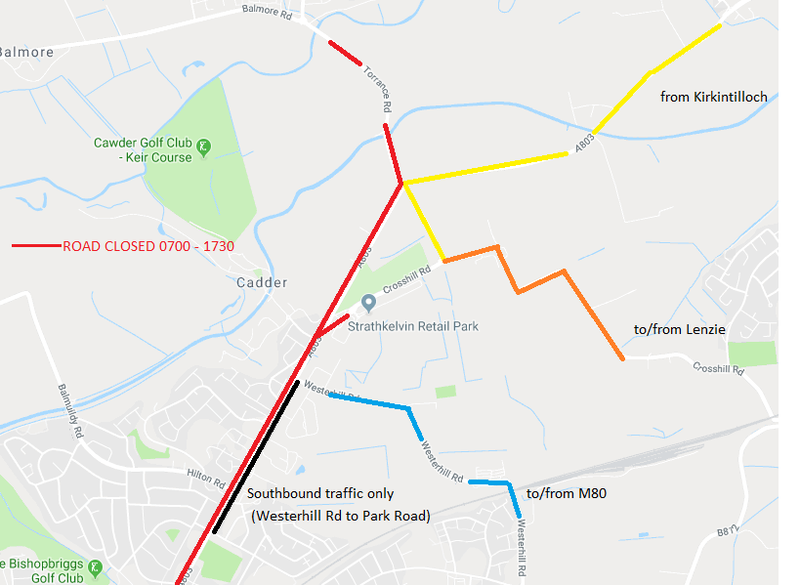 A803 Kirkintilloch Road – the road will be closed in a phased manner from 0200hrs on the 8th August and will be completely closed to all general traffic at 0700hrs. The road is programmed to re-open in a controlled manner from 1730 hrs however specific areas will be given priority to reduce the impact on residential and businesses areas. Pedestrians can freely cross the route when it is safe to do so.